In episode #19, Sarah, Rin and I take the long journey to Seoul by bus and subways. 45 minute walk to the bus, 2 hours by bus, and riding the subways through the city. In episode #18, I give a driving tour of Sinpyeong, complete with where we work, the lack of stop signs in Korea, and a few other things. stay tuned for episode 19 tomorrow march 30th! 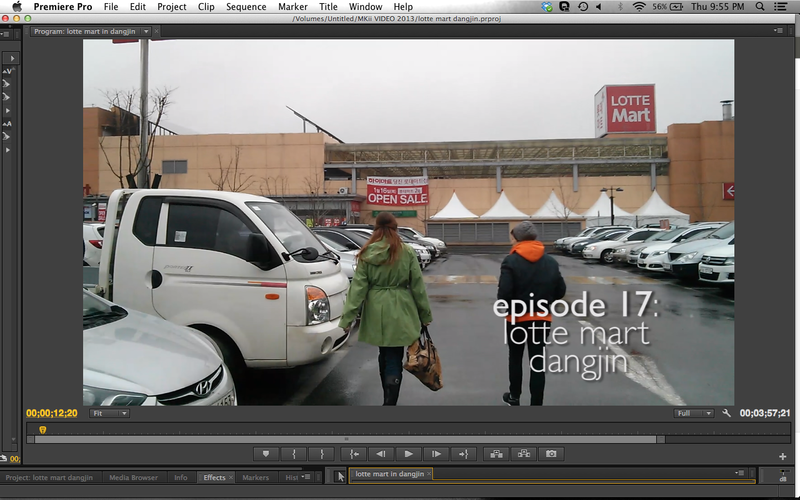 In episode #17, we take a trip to Lotte Mart in Dangjin. This is a grocery store, department store, and electronics store all in one. C.O. Video Series Returns March 21st! After a month long hiatus, C.O. video series returns tomorrow! Episode #17 up March 21st.